Popes Eye is usually a great introduction to diving in Melbourne and today was no exception. After a false start we regrouped and descended together and spent the dive working on our buoyancy control and enjoying the surroundings. The dive was over all too quickly and we ascended to perform our safety stops just as we had been trained to do. 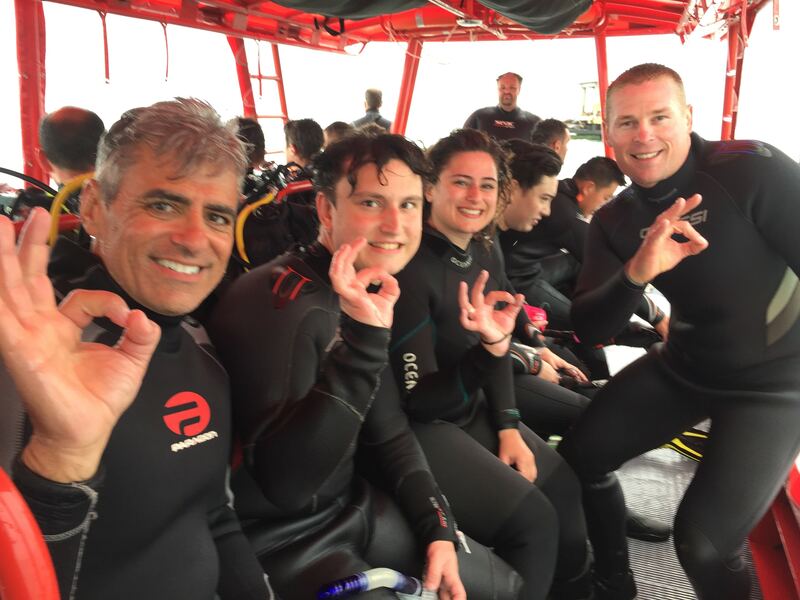 Only this time when we got the the surface the smiles were a little bigger knowing that we were all about to become certified open way divers. 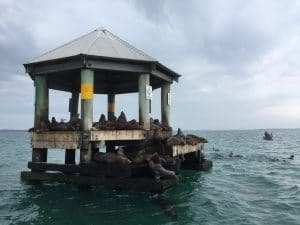 As a bonus, on the way back to Portsea we stopped off at Chinaman’s Hat where some of us got to try out our snorkelling skills and swim with the seals. The smell wasn’t great but the experience was awesome.